my ramblings | expressions: Brisbane's Southbank Festival. Ahh... there was some kind of food festival in Brisbane's Southbank over the weekend and I reckon it was AWESOME! Lotsa Asian food particularly Taiwanese. It was a little surprising seeing so many AZNs in one place. Good mix of entertainment including lion dance, martial arts exhibition, bands, dances and of course fire works. Very well organized I must say. 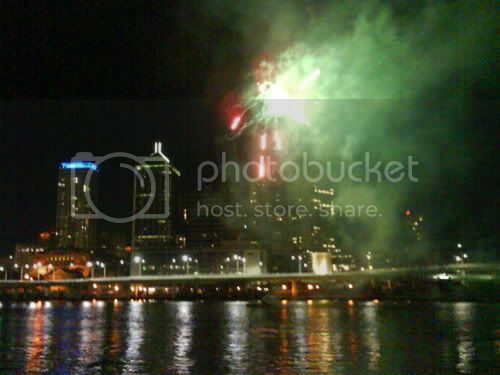 Here's a shot of the fireworks with my phone's 2MP camera. Pretty impressive I must say.